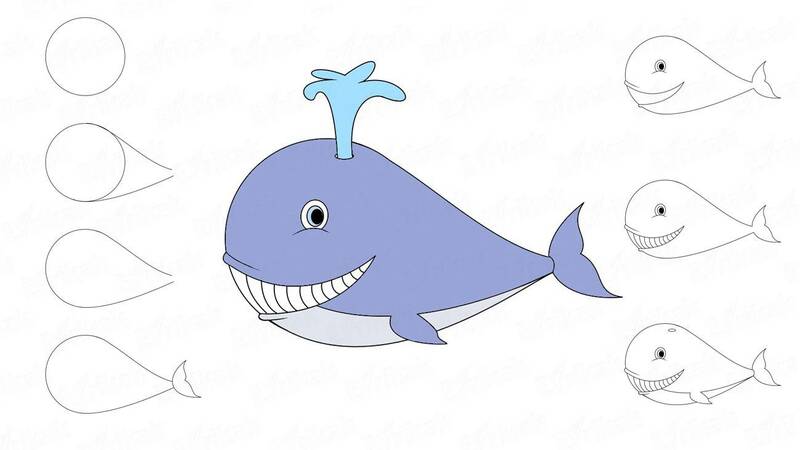 Many beautiful legends are connected with lily. The flower symbolizes purity, love and devotion. Let’s draw this flower together, adding it to the collection of plants drawings. 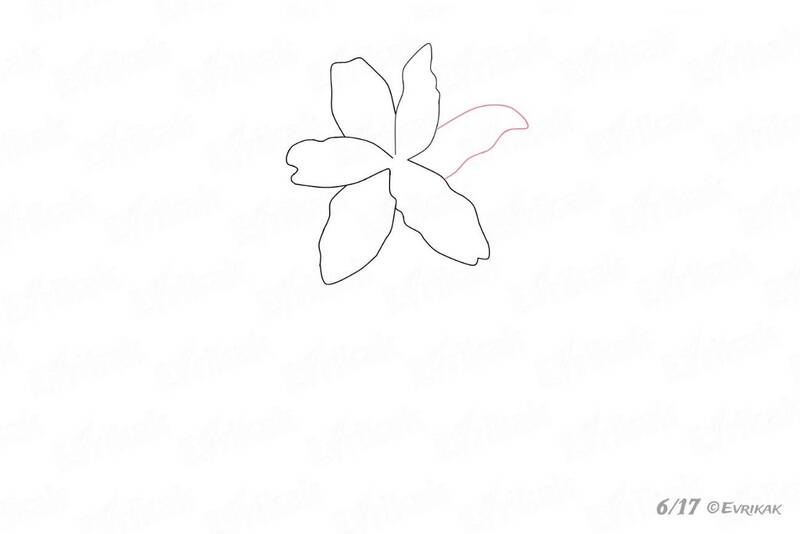 Start drawing the flower from the petals. 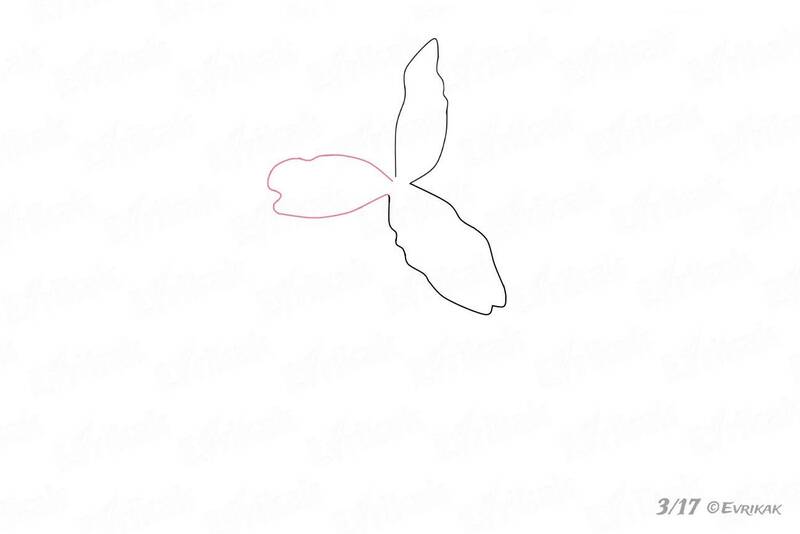 On a sheet of paper, draw an uneven vertical petal, slightly resembling a rabbit ear, which narrows at the bottom. Connect the second petal with the first one. The shapes can vary. Connect the parts withthe help of the third petal. The figure must resemble the wrong shamrock. Start drawing the second layer. Lily has six petals. Start with the upper one. 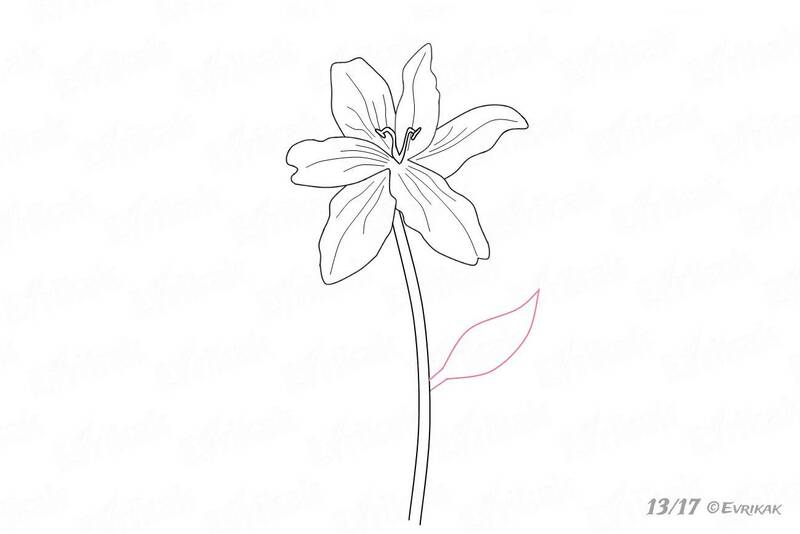 Its lower part is not visible, it hides behind the front petals. 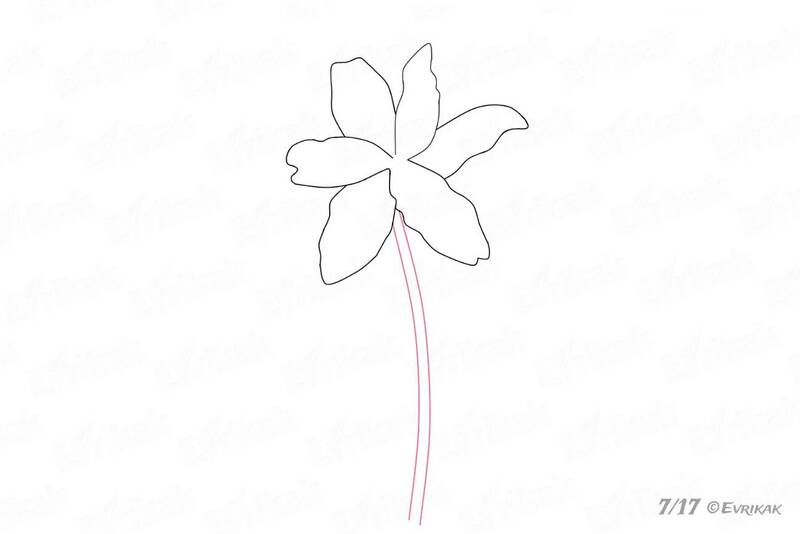 You can draw the second petal longer. Make the last one a slightly curved to the left. Our flower’s ready. 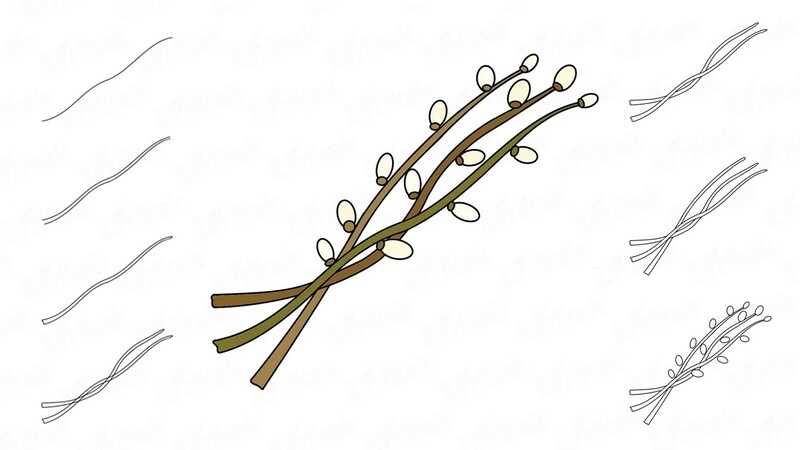 Draw the stem in the form of two long, slightly curved vertical lines. In the center, where the petals are connected, draw two curved stamens. 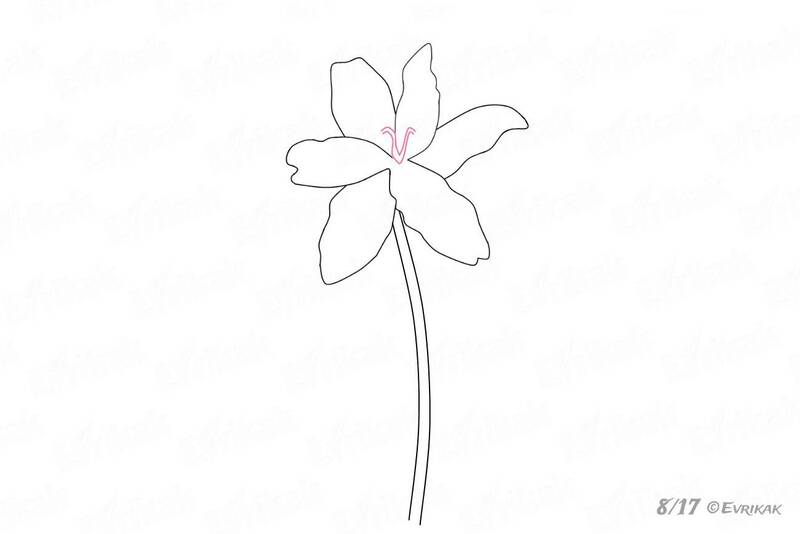 The stamens end with small ovals where there is a pollen. 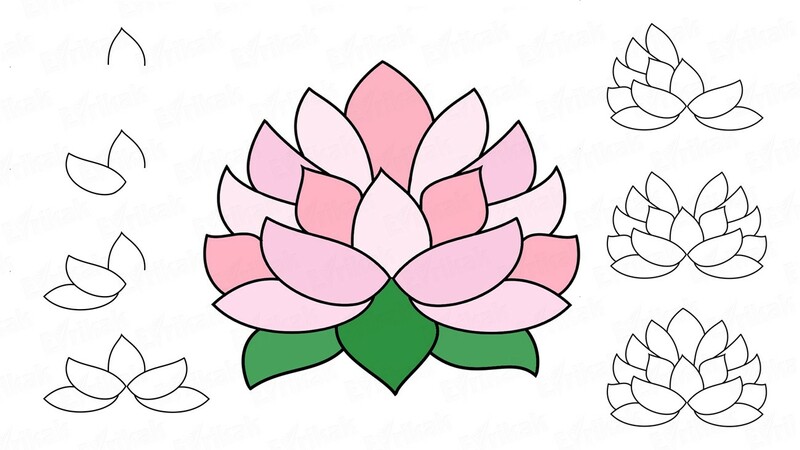 The next step is to divide the petals vertically using thin curved lines. 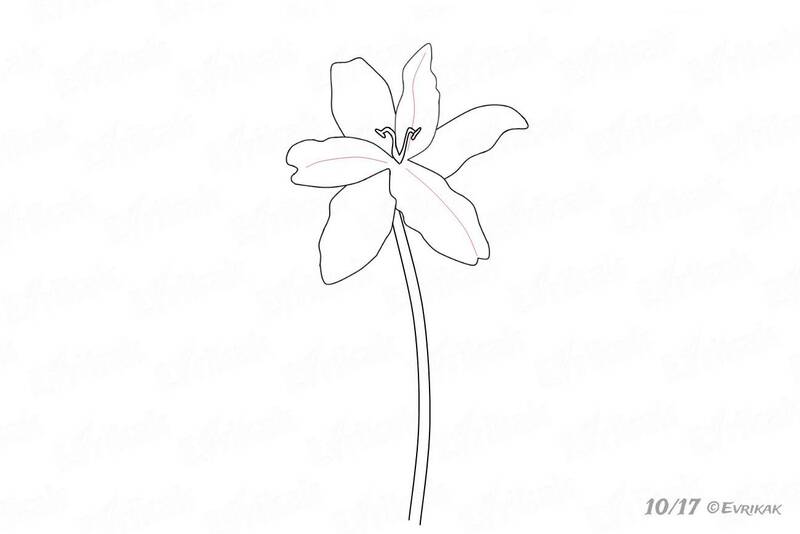 The lines don’t start from the center and aren’t connected with the edges of the petals. 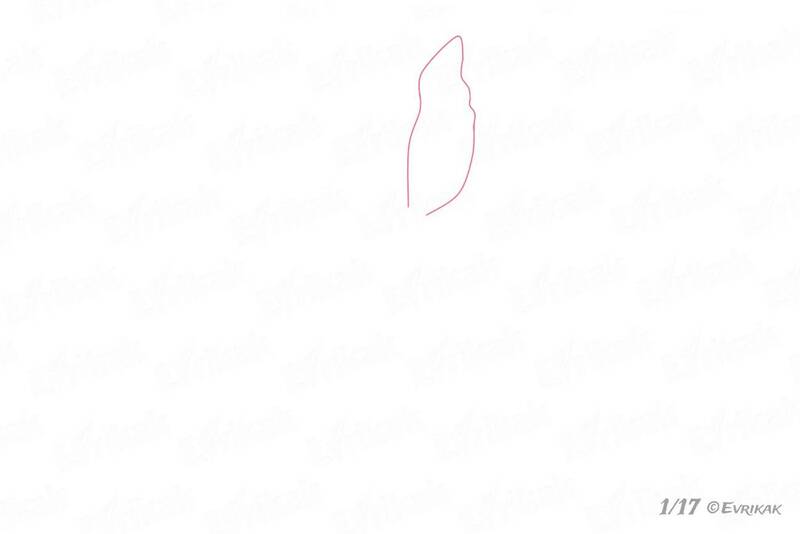 Next, draw short additional lines to indicate the volume. 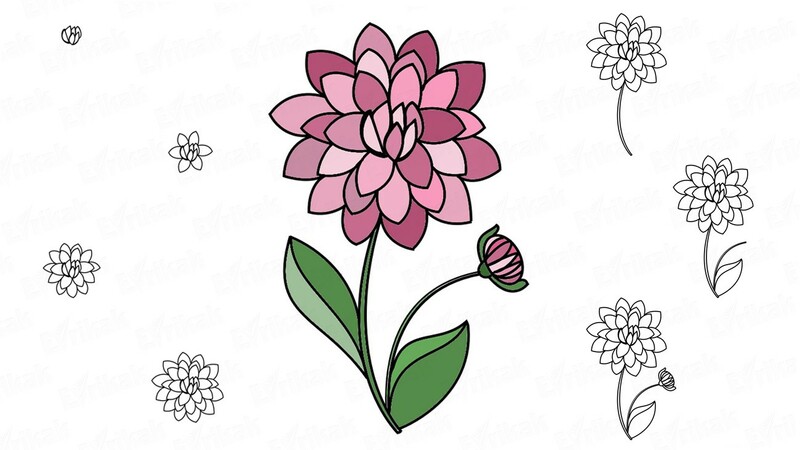 Decorate all the petals using the lines. 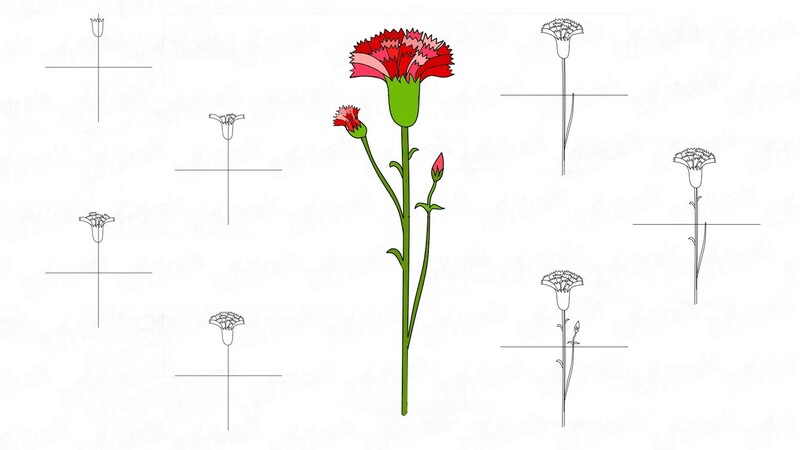 They should bend in the same directions as each petal. Start making the stem. Draw an eye-like leaf on the right side. It’s attached to the stem with two straight lines which widen smoothly. 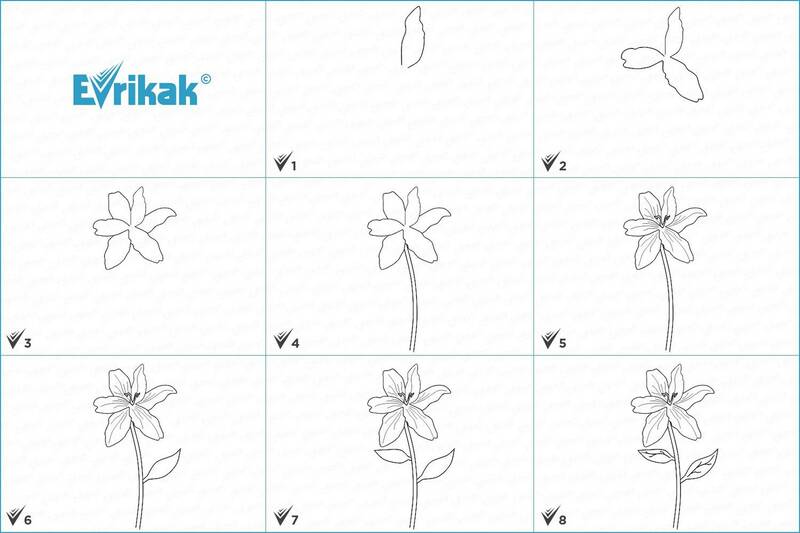 Draw the second leaf just above the first one on the left side. 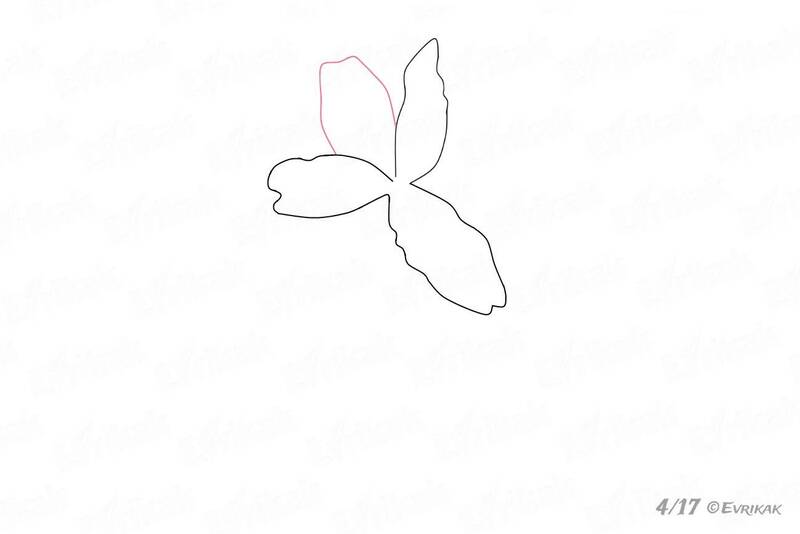 Draw curved lines on the leaves which divide them into two halves vertically. 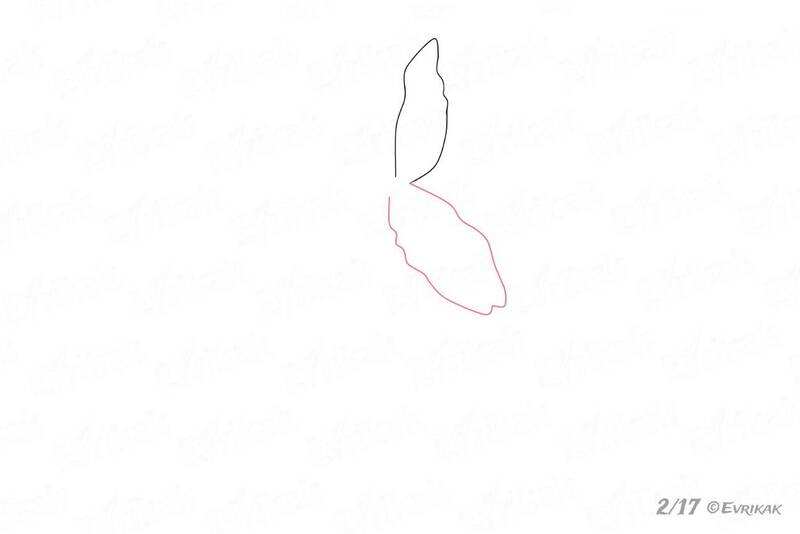 From these lines, draw thin veins on the leaves. 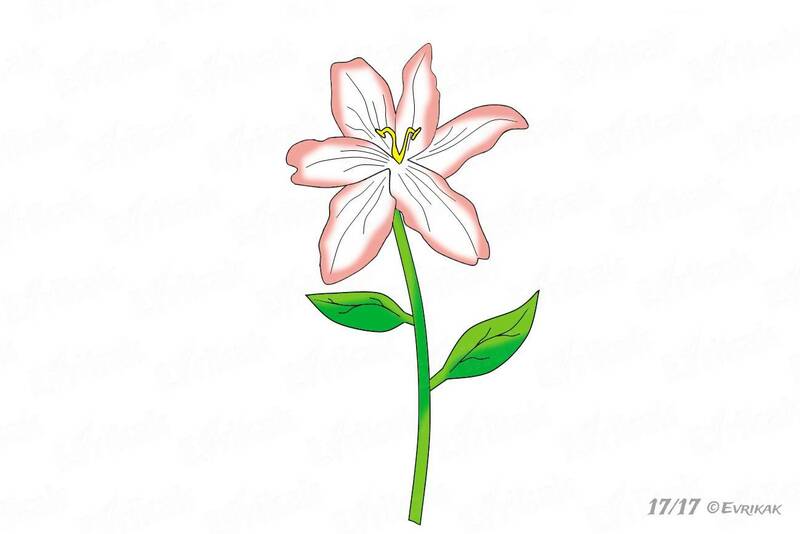 Color the lily in soft and light colors. These flowers can be of different shades. 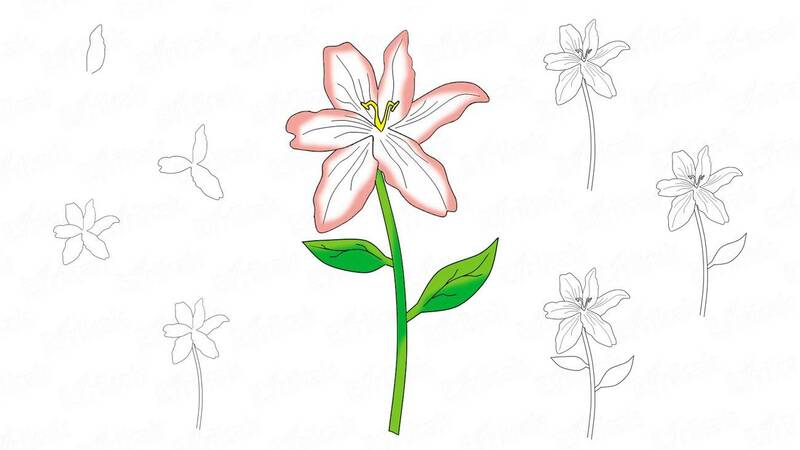 You can get created together with your child and create your own version of the lily.